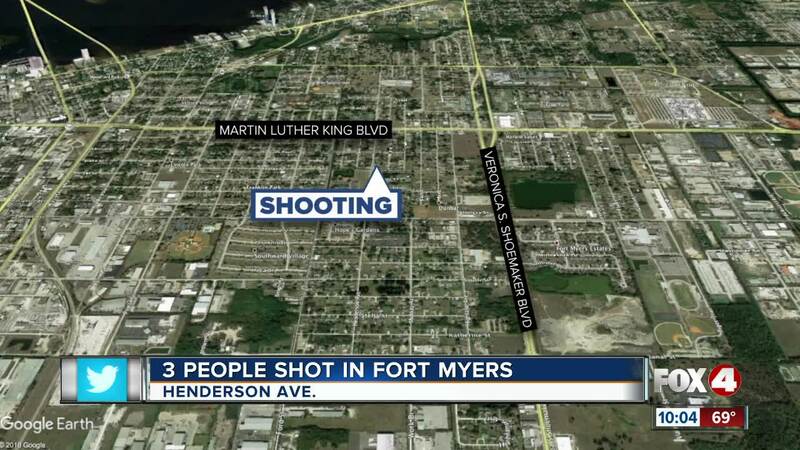 FORT MYERS, Fla. — Police are looking for the person who shot and injured three people in Fort Myers. Thursday night, police received an alert from their shot-spotter system located on Henderson Avenue. When officers arrived, they found Jordan Brown, Jamerial Florence and Darrell Niles shot. Brown is in critical condition, and the two others were released from the hospital. If you have any information, call Fort Myers Police.